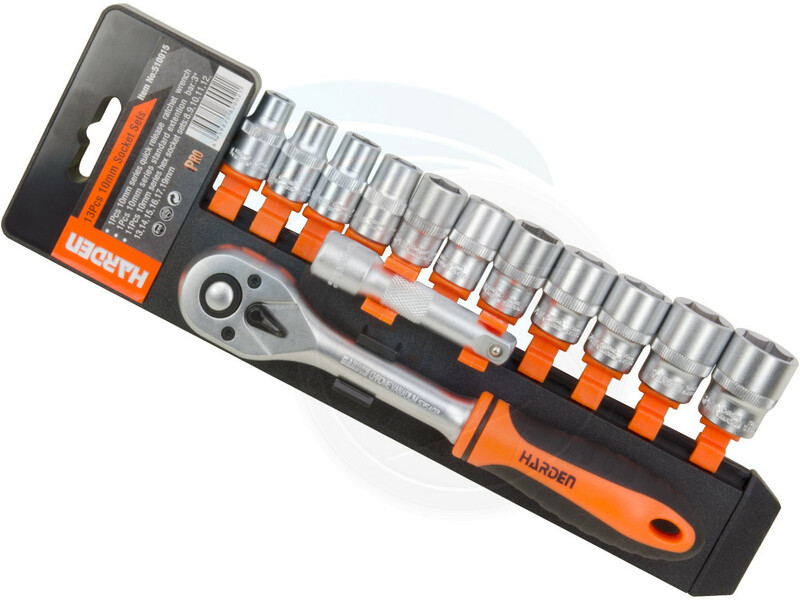 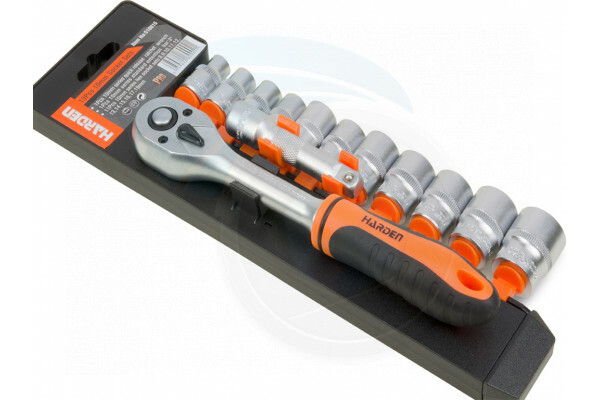 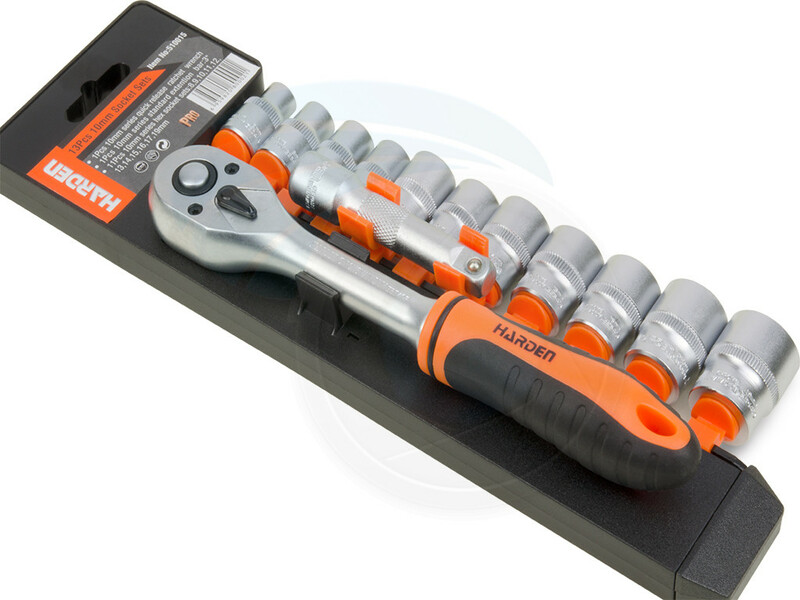 This professional 13 piece socket set contains self locking, reversible 3/8 square drive ratchet, 5” socket extension and 11 metric sockets. 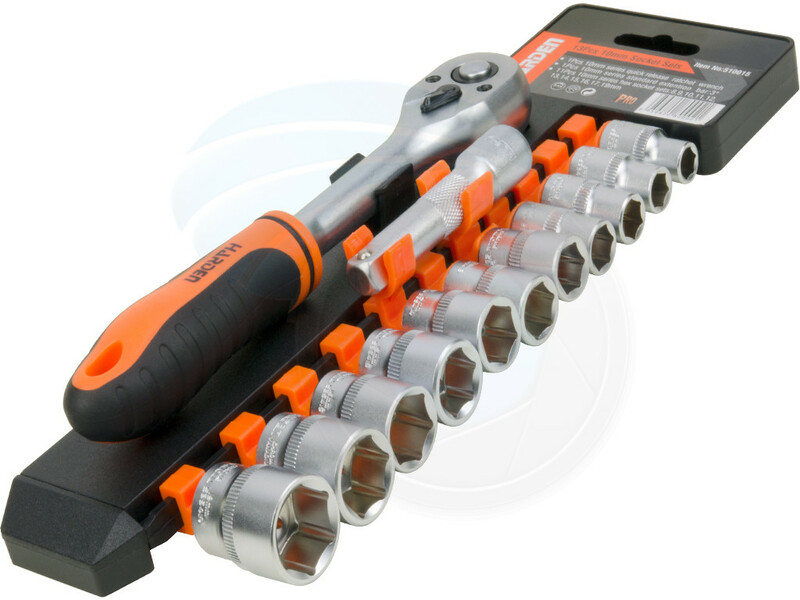 The sockets are forged from chrome vanadium steel and covered with matte scratch free and corrosion resistant finish. 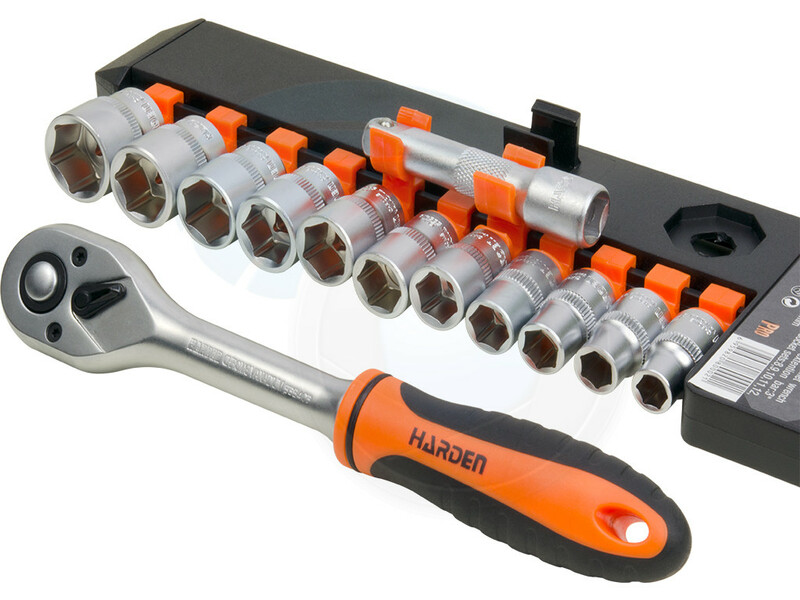 Also, this set includes a plastic holder for easy storage and organization.